Salams and hello to all! I've just discovered a wonderfully stylish line of Shaylas and Abayas called Arabesque who describe their products as "Sheilas and Abaya with a French touch". I've included some pics for you all to draw inspiration from - enjoy! 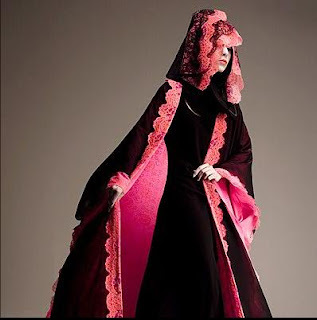 Mashallah what a lovely blog you have sis...i love the pink abaaya its so gorgous...tres chic!